Previously on this Review, the war declared on Fox "News" by the liberal media watchdogs, Media Matters for America was covered. Lately, Fox has been retaliating by claiming that Media Matters should lose its nonprofit status. This is rebutted on a piece by Lauren Kelley which is republished below. The reason why Fox is counter-attacking the watchdogs that expose their lies will then be considered in a "conclusion," offered both in a video segment from The Last Word about how Fox operates within Rupert Murdoch's "news" empire and a paragraph from Mark Howard about Fox's war on Media Matters. The following piece is a rebuttal republished here with permission of the author, Lauren Kelley. Originally published on AlterNet, it was entitled "Fox News Retaliates Against Media Matters by Arguing (Wrongly) that it Should Lose its Nonprofit Status." For seven years Fox News has pushed back against the daily scrutiny and criticism leveled at it by Media Matters, the liberal watchdog group. But after David Brock, the group’s founder, said in March that his group’s new strategy amounted to a “war on Fox,” Fox ratcheted up its response. In the past ten days, the news channel has run more than 30 segments calling for the nonprofit group to be stripped of its tax-exempt status. Its Fox Nation website has even provided a link to pre-completed complaint forms against Media Matters to send to the Internal Revenue Service. Specifically, Fox is trying to argue that Media Matters fails to support its claims with facts and is engaged directly in politics (through its progressive training institute, for one), which would be legitimate legal reasons to strip a group of its tax-exempt status. But unfortunately for Fox, Media Matters has not actually crossed any inappropriate lines. Marcus Owens, a partner at Caplin and Drysdale and former director of the Exempt Organization Division of the IRS, says the law is on Media Matters’ side on both counts. And on the other, somewhat more vague, point about whether Media Matters’ attacks on Fox violate the IRS’s rules about what tax-exempt educational organizations can say, he points to the criteria that the IRS laid out in 1986 for determining whether the method that the organization uses to come to its conclusions qualifies it as an educat entity. First among these is that the organization not present “viewpoints or positions unsupported by facts” as “a significant portion of the organization’s communications.” Also on the list is a ban on “substantial use of inflammatory and disparaging terms” and conclusions made “on the basis of strong emotional feelings” rather than “objective evaluations." Owens added that "that there is nothing in the IRS rules that prohibits tax-exempt educational nonprofits from attacking specific companies," or from zeroing in on one company. "I'm afraid Fox loses this round," he said. Fox going after Media Matters reminds me of the time my sister complained to our mother that I had hit her back. Fox is a corporate Goliath that uses its powerful franchise of the airways to skew public perception to advantage right-wing political power, and yet it has the hubris to call what it does “fair and balanced.” For giant Fox to attack the tax exempt status of its David-sized critic is as ludicrous as my sister’s complaint. I must observe that Fox is obviously afraid -- so afraid of Media Matters that it has become obsessed with destroying it. 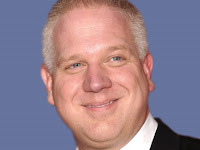 Fox is afraid that the successful campaign against Glenn Beck will continue to unravel the Fox News bastion of lies, racism and partisan propaganda. While most Americans have probably never heard of Media Matters, Fox is promoting the group to the top of the news pile, even above Casey Anthony. They know that any organization that shines the light of truth on Fox News is going to make things difficult for an enterprise like Fox whose mission is to disseminate disinformation and keep viewers ignorant.